The modern woman often does not know herself as a goddess; her feminine energy is out of balance and her divine essence has yet to awaken. But the time has come, right now, for women to know that being female is special, sacred, and divine. This inspiring, poetic and magically potent book will entice women of all ages to explore and activate their relationship with the divine, feminine and most sacred part of themselves―the goddess within. 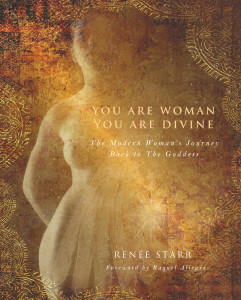 In You Are Woman, You Are Divine, Back to the Goddess founder Renée Starr takes women on an enchanting, empowering journey, offering ancient wisdom in a fresh, modern way to help woman reclaim all the beauty, grace, and strength that being female is. In Part 1 of the book, she leads readers back through history to revisit the reverence for women that every ancient culture possessed. From the dawn of pre-history, women were perceived as holy, sacred, and divine incarnations of the Great Mother Goddess. Powerful figures full of strength, wisdom, and leadership, women were the keepers of the human race, from which all life flowed. In Part 2, Starr retells in mesmerizing narrative seven of the greatest goddess myths from ancient cultures around the world: Ancient Egypt, Africa, India, Tibet, Ancient Greece, Lakota, and the Judeo-Christian Bible. Each myth presents a quality that modern women can restore back into their lives: Lilith (Power), Yemaya (Creativity), Tara (Stillness), Radha (Passion), Kassandra (Voice), White Buffalo Calf Woman (Wisdom), and Eve (Awakening). Accompanying each myth are anointing, bathing and lunar rituals, instructions for altars, invocations, meditations, and more to deepen their connection to their own inner goddess and inspire living as a goddess on earth. In Part 3, Starr shows women how to integrate the teachings of The Divine Feminine into everyday life, honoring the sacredness of their body and how to be in energetic, feminine balance. The book offers fresh, new ways for women to embrace their ancient and sacred traditions. It uplifts the spirit of any woman―from young womanhood to her elder, wise-woman years. It honors the Feminine spirit that all women can celebrate in themselves to rebalance the world. Readers will live more fulfilled lives and feel more confident, free and feminine…becoming the goddesses they were meant to be. Beautifully designed & illustrated; includes a foreword by Raquel Allegra, noted fashion designer. Yemaya is very regal, beautiful, strong, and powerful. She is a fiercely loving and merciful goddess who can also be very unpredictable at times. Her moods change with the tides, and she can become quite feisty when provoked. Easily angered but quick to forgive, she mostly desires that you respect and appreciate her teachings. Above all, her loving and motherly nature is the very essence of what creativity is—an endless supply from a limitless source. Her nature is so like creativity itself— delightful, enchanting, capricious, challenging, and insistent. Associated with several phases of the moon—half, crescent, and full—she is an elemental being of transformation, change, cycles, and phases—all fundamental qualities of creativity. The goddess Yemaya woke me at 3:00 a.m. on a morning overcast with mist from the Pacific Ocean. She had appeared to me in my dream that night and shared her story just as you have read it. At the end of the dream, I felt her urgency, as if she were saying; Wake up! Write this down right now! But, I would not listen; I so wanted to stay in bed and sleep where it was warm and comfortable. But the story kept replaying and I could feel her urgings getting stronger. I knew I must wake myself and honor this gift from The Mother of the Ocean, or it might be lost forever, taken back on one of her waves while I slept. I could feel The Goddess at my side as I wrote this myth. And in between sips of hot tea and watching the sun burn through the fog, I typed and beheld Yemaya’s sacred story making its way into this book. Creativity is a tender and tenacious vine, climbing always upwards and looking for the light, always seeking to grow. Creativity is persistent with only one prime directive—to become, and it is called forth by the most powerful, primal Feminine force. As the force of Yemaya calls whatever is formless into form, the idea becomes reality and new life comes into the world. From her sea comes all life; she is both The Mother and The Source. She dwells in the most infinite, creative place of your own feminine being. As the very essence of motherhood, Yemaya is most favorable towards women and is passionately protective of them. The women who worship her are called Yemaya’s daughters. She is the fierce protector of all new life, particularly babies—and especially while they are still in the womb. For this reason, Yemaya is often called upon for fertility and for protection during childbirth. Yemaya has several different aspects. Each one shows us a distinctive side of her nature that we may call upon depending on our needs at that time. You might invoke Yemaya’s loving and benevolent mother archetype when you need comfort, encouragement, and loving support. Calling upon her as the muse will bring you inspiration, ideas, and unique opportunities. Or you can summon her fierce and awesome nature when you need a strong protector from harsh critics or those who are attacking or blocking your efforts. I request all of these aspects of Yemaya to show up when I am being hard on myself while writing or painting, as she brings me comfort and protection—mostly from myself. When working with The Mother Goddess aspect, you may find that your relation- ship with your own mother comes up. Whether your mother was good, bad, loving, indifferent, or disappointing, remember that we are all made in Her image—including your mother. Yemaya, with all of her many personalities, offers a great opportunity for you to understand, strengthen and if necessary, heal your relationship with your mother. I was not close to either of my parents, and especially not my mother. I grew into womanhood feeling disconnected from her and eventually from all mothers. I found it difficult to receive elder guidance and support. I became very independent and eventually detached from my daughter persona entirely in my late teens. This was a rebellion, which snowballed into a profound disconnection from my creativity. I stopped painting and writing for almost thirty years. Creativity was the only connection that my mother and I had shared, and in order to distance myself from her, I took it away from both of us. When The Goddess finally came into my life, the daughter part of me that had been asleep was gently woken. I blossomed in a way that I can only describe as feeling like being adopted after having been an orphan. I now had a mother who loved me unconditionally, guided me wisely, and protected me completely. As my relationship with the goddess Yemaya deepened, I became more invested in creativity again. A new understanding that my literary and artistic gifts had come directly from my Divine Mother helped me feel safe enough to reclaim them. Through my own healing, I have come to understand that the creative urge is exactly like the urge of life itself: it is a primal impulse. Just like life, it cannot be suppressed. It wants to be born, to exist, and to materialize. Ask any woman who is creative and she will tell you that she simply must make art, dance, sing, act, have babies, or do whatever she does to express herself. It is an essential, fundamental, and irresistibly necessary part of her life. The goddess Yemaya is the essence of creativity, and you are the embodiment of it. So whether you give birth to children or to symphonies—or to both, the feminine urge to create is simply inherent within you. Your creative nature will survive the worst: a sad childhood, a bad critique, or your own demolishment of it. Its roots grow deep down inside you. When it is time for it to bloom, nothing, not even you, can stop those tender shoots from making their way up towards the light. Like the tenacious vine, its natural urge is to grow and exist. My own desire to create and share my gifts is also an attempt to leave this world more beautiful and more blissful than when I first arrived. As an artist and writer, I would like to leave behind some evidence that I existed. This sentiment is similar to what women who wish to have children feel as well, wishing their ancestry to continue on. Art, writing, music, dance, or making a baby . . . for many women, it’s about creating something that lives on after you. The urge to create comes from The Feminine, an essence that is available even for men. I think that is why we often hear men, after completing a creative project, identify with women by saying it was like giving birth. To carry an idea within you from the moment of its formation to the moment of its completion, marveling with wonderment and delight as it makes its way through you into the world, is an exquisite experience that is very much like the experience of birthing a baby. Whenever you are in the creative experience, you are swimming in the most absolute, undiluted, and purely Feminine waters of The Divine. Yemaya invites you to dive into her endless and inviting ocean of creativity at any time. 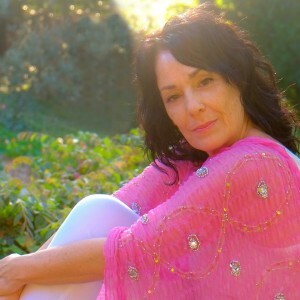 Renée Starr is a mythologist, sacred storyteller, life coach, and artist. 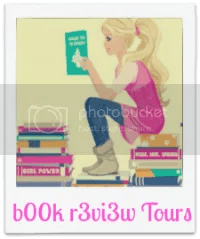 A seeker of ancient Goddess and lunar wisdom for the modern woman, she offers classes, workshops, and Goddess Circles, as well as a variety of women’s retreats through her branded movement, Back to The Goddess. Her passion is to assist women everywhere to awaken to their sacredness, their inner goddess-self and rekindle a relationship with The Divine Feminine. She has her own line of herbal, ritual and Goddess products. Even as a young person, I was writing, and interested in myth. I re-wrote the fable ‘Chicken Little’ as a short play when I was six years old, and it was performed in front of the entire elementary school. It was such an amazing, fulfilling feeling to see my words acted out in front of an audience, to watch as my story unfolded, and to see people enjoying it, clapping and laughing. In that moment, I knew that writing was my special gift. I have been collecting and researching Goddess mythology and ancient wisdom, along with lunar wisdom for women for many, many years, so it was only natural for me to eventually write of this, as I now know it all so well. I have an unusual writing process; I write from the end to the beginning, and sometimes from the middle to the end and then the beginning. It’s a bit maddening to editors and publishers, but it’s the only way I can write. It’s so immediate, and so fresh and so authentic for me, as it allows me to run with the muse, chase after ideas and not feel boxed in to an outline. Even when I do write an outline, it usually ends up being butchered and rewritten many, many times as my inspiration changes so often. I often dream of my writing before writing it, so many of my ideas come to me from the subconscious realm. I write in alignment with the lunar phases, which is a very quirky, but also creative and feminine thing to do. The moon offers us her phases as a guide, and when we align with this we can experience an easier more harmonious creative experience. As an example, during the waxing phases, it’s best to gather information, come up with new ideas and do all of your research. Then as the moon begins to wane, you’ll begin to feel more organized, you’ll feel more like actually writing as the ideas will now flow out from you onto the paper—or screen. Once I decide to write, I sit at my desk and organize every single piece of paper, every post-it and all the piles of research books laying around and anything else that’s ‘in the way’. Then I check in with all of my social media, answer the many emails that I receive, balance my bank account, organize my Mac’s desktop and daydream while looking out of the window. The last thing I do before truly settling in to write is smooch my dog, cuddle my cats and then I am ready—really ready to write. I do my best writing at night, when my mind is calm, quieter and filled with inspiration from the day. Don’t stop. Never stop. Do not ever stop. Always write. Continue to write. Write no matter what happens, and no matter how many times your work is rejected, no matter who tries to knock you down, push you around or discourage you. Write even when you think your writing stinks. Write even when you think you are not a writer. WRITE. Look for more ancient wisdom for the modern woman…this time it’ll be an entirely lunar-based treasury. You are welcome! Good luck with your tour! Thanks for taking part in the tour and hosting Renee!